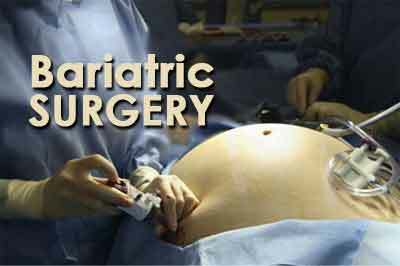 New Delhi: In what may be termed as a landmark achievement for a government hospital, Lok Nayak Hospital recently announced the completion of 100 bariatric surgeries at the hospital. A celebration of this event was organized on 13th October 2016 at the New OPD Block of the hospital. The MAMC LNH METABOLIC SURGERY PROGRAMME was launched in the year 2010 with the aim to provide quality state of the art services to the people suffering from morbid obesity i.e. Body Mass Index (BMI) > 38. This level of morbid obesity is associated with serious life threatening conditions like Hypertension, Diabetes, heart disease, obstructed sleep apnoe or severe snoring, respiratory ailments, joint problems etc. No organ of the body remains unaffected. This was started as survey revealed that nearly 15-20% of the population attending our OPDs or in the community suffered from obesity of some degree and was a significant cause of suffering to the patients and family. Also there was great economic impact of the disease in the society due to loss of man-work hours of the patient and the relatives, thus causing serious financial loss to the country. The programme is headed by Dr Pawanindra Lal, Director Professor of Surgery at MAMC. Under the programme, a dedicated “metabolic Surgery OPD” was started in Lok Nayak Hospital from, April 2010 and more than 400 patients have been seen till date. This OPD runs twice a month and on every 2nd and 4th Thursday. This is unique as it provides a single place assessment of patient with the availability of a multi-disciplinary team consisting of surgeons doing detailed assessments, physician in the medican and endocrine clinic, services of a dedicated dietician in the OPD itself and consultation with anaesthesia faculty in the ICU. Psychiatric assessments are reserved for selective cases only. Since inception, 101 bariatric surgeries have been performed which include 69 Sleeve Gastrectomies, 22 Bypass operations and 10 bands. In addition 10 patients underwent intra gastric balloon placement by the gastroenterology team at GB Pant Hospital, 10 patients have undergone abdominoplasty for loose and lax skin after having achieved required weight loss. The youngest patient was 19 years and the oldest patient was 66 years. Lok Nayak Hospital is the only Delhi Government hospital providing this service to the citizens of Delhi in the government sector. 57 out of 66 patients who had hypertension and 23 out of 25 who had diabetes are completely cured of their BP and Diabetes and in the remaining the dose requirements are now substantially reduced. All 36 patients with sleep apnoea have been cured after surgery. All these patients are now completely off their medicines for sugar and high blood pressure just due to the weight loss achieved and the improvement in heart function. Speaking to Medical Dialogues, Dr Lal said that the success of the operation was best seen in those patients who adopted healthy eating habits and brought about a change in their life style. Additional benefits were noted in better marriage prospects after losing weight and better mental state as a number of patients had given up and were depressed. On the occassion, Dr Deepak K Tempe, Dean , MAMC congratulated the entire hospital team for this effort. Dr J C Passey, Medical Director of Lok Nayak Hospital complemented the surgical team for achieving this feat which he described as “no mean achievement” given the challenges of operating such cases in a government institution. He also complemented the entire bariatric team including the anesthetists and complemented the multi-disciplinary approach.